Ever wondered what it might be like to travel by yourself? This month, Open Colleges student Taila Brown provides her top tips for taking the plunge and going solo. I cannot stress enough how useful hostels are for the solo traveller, they offer a wealth of social opportunities and resources hotels generally cannot. Any decent hostel has its own bar and will run regular social activities for its guests; take full advantage of them! Whether it’s a trivia night, a game of bingo or a free spaghetti dinner, you’ll find no difficulty in meeting fellow travellers. I met a lot of people at hostels and was given a rare opportunity to gain opinions on destinations and network with people from around the world. Staff are very friendly and helpful, don’t be scared to ask them for train schedules, directions, recommendations. If they can make a call for you, hold your luggage or organise a shuttle/taxi, the answer will always be yes! For those who are still skeptical, it is worth just giving it a try, after all the rooms are really cheap. But don’t expect any bells and whistles, these are no frills establishments, but they are perfectly clean and respectable. This is imperative – always ask questions. Ask for directions rather than using a map, you might be given a short cut, scenic route or mode of transport you weren’t aware of. Ask for recommendations rather than relying on a guidebook, you’ll gain a local perspective, and no one knows the area better than a local. Ask as many questions as you can, most people are happy to help and flattered you asked. The best knowledge I received on my travels was from a waitress in Oregon. While chatting to her over my morning coffee I asked about the best spots to visit and she wrote me a great list of different points of interest; she was worth more than any guide book. Some of the best experiences I have abroad were the ones I hadn’t planned, so my advice is: give everything a chance, venture out of your comfort zone and try not to stick your nose up at anything! The main pleasure of solo travelling is freedom and control over your trip, there is no-one to answer to, so give everything a chance and soak it all in while you have the opportunity – what’s stopping you? I travelled overseas with an open mind and willingness to try anything that presented itself, because of this I found myself at line dancing saloon bars, hot air ballooning at 4am and at a karaoke night with an entire wedding party! One of the biggest fears I have heard from people after I tell them that I travel alone is: “aren’t you scared of looking stupid?” and the plain answer is no, no I am not. Go to bars, go to sights, don’t be afraid of looking silly because you’re alone; in fact, relish your own company! If you want to go to a theme park – go there! If you want to go to a five star restaurant – go there! You may never get this opportunity again, don’t spend your time regretting it later. No one thinks you look stupid. Talk to people! Wherever you are, whoever they are, on the bus, in a hotel lobby, in a public bathroom – spark up a conversation at the risk of being annoying, you’ll be surprised how many people welcome it with a smile. Talking to people enriches your trip; you will learn more than you could have hoped for by just talking to the people around you. Although you’re travelling solo this does not mean your trip can’t be social, talk to people, they’ll be just as fascinated to find out about your origin. Travelling by yourself does not have to be scary, in fact it may just be the adventure of a lifetime! So what are you waiting for? Dive in and explore this amazing world solo. Open Colleges offers over 1oo online courses, meaning you can study around your life – whenever and wherever you like – to reach your goals. Find your perfect course now. It a interesting writing. Please keep writing. A very practical post about solo backpacking. To the point and conveys the true meaning of backpacking. Need for hostels, being yourself, mingling with people, asking for help and just staying confident! Thank you for sharing these points. Nice Blog! Everyone wants a secure and fast pickup and good drop facility and also, want Well-trained and expert drivers. Thanks for sharing Such great Information about the cab service. Great blog. Thanks for posting it. It’s true!! We invite you to our website to read the places where you can visit anytime in India and also get the best cab service for you. Excellent tips! I would love to explore the with a tricycle! Do you have to be an experienced driver? In my opinion, traveling alone is one of the best pleasures of the world. And this is very informative for me because i am travelling alone and in staring of 2019 also going for a tour and this time for Azerbaijan. You are lucky that you got to mingle with people who are social and didn’t mind asking too many questions. Sometimes taking initiatives in introducing yourself to a stranger, or breaking the ice is good. But you have to judge whether the person you are trying to get into conversation is really interested. If not, it’s better to back off. At the same time, one should not cross the limit and be wary as well. Becoming too friendly or providing personal information to a stranger can be too risky. I like the your information. 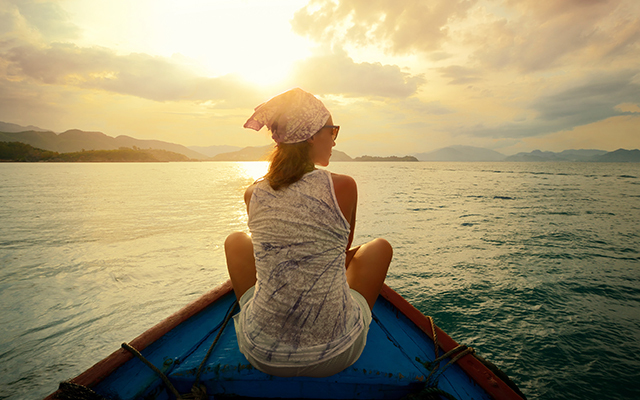 You share the right info about solo traveling. Solo traveling is not an easy travel. Lot’s of problem are create in solo traveling. Thanks for sharing traveling info.